Some people are born to change the world and inspire people along the way. Malala Yousafzai has inspired me with her tenacity and heart for justice and equality for girls everywhere, and I want to tell her story today, the day before Malala Day. Malala Yousafzai was born in Pakistan in 1997 to parents determined to give their daughter the same education and equality that a boy would have. She develops her father’s love of learning and books early on in life. Under the Taliban’s siege of Swat, where Malala lived at the time, they banned girls from going to school starting in December 2008. Using the pseudonym of “Gul Makai,” Malala started blogging for the BBC about her life since the Taliban came into power. Her blog was noticed by The New York Times, and they chose to feature Malala and her father in a documentary about their crusade to protect girls’ education in the Swat area. With Malala’s increased visibility, she became a target for the Taliban. In October 2012, a gunman ambushed her school bus, asked for her by name and proceeded to shoot her in the head, neck, and shoulder. Two of her friends were also injured in the attack. 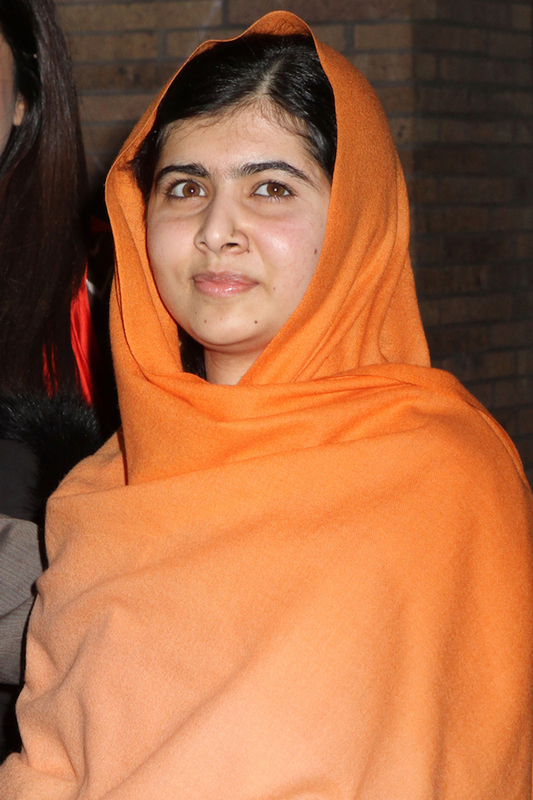 Malala survived after several surgeries and months spent recovering in the hospital. Her first public appearance after her attack was speaking at the United Nations on July 12, 2013. The U.N. proclaimed July 12thto be “Malala Day,” and, in turn, Malala vowed to use this day every year to bring attention to girls’ issues around the world. Since 2013, Malala has spent time with the victims’ families of mass kidnappings in Nigeria, opened a school for Syrian refugee girls, and met with world leaders to encourage them to fund girls’ education. She and her dad also established the Malala Fund which is dedicated to giving girls access to education and equality around the globe. Her valiant efforts won her the Nobel Peace Prize in 2014. She is the youngest Nobel Laureate in history. Check out the Malala Fund official website here and leave me a message in the comments section about someone who inspires you. I know Malala inspires me!